Chris in an international energy transactions lawyer with Vinson & Elkins LLP. Chris re-located to V&E’s Hong Kong office in early 2007, after working in Houston for several years. Chris’ legal practice encompasses mergers and acquisitions, project development, joint ventures, commercial contracts, and general corporate law matters with a focus on the oil and gas (upstream, midstream and downstream), LNG, mining, and electric power sectors. He represents major integrated energy companies, independent E&P companies, national oil companies, industrial conglomerates, operating companies, service contractors, sovereign wealth funds, financial institutions and other investors in transactions and projects on a global basis, with particular experience in China, India, Australia, Southeast Asia, Africa, the Middle East and North America. Chris has a J.D. from the University of Virginia School of Law and a B.A. in History from Tulane University in New Orleans, Louisiana. 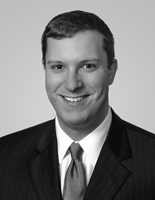 Chris was admitted to the Texas bar in 2004 and is a registered foreign lawyer in Hong Kong. He is also a member of the Association of International Petroleum Negotiators (AIPN) and the American Chamber of Commerce in Hong Kong. He is a native of Shreveport, Louisiana.